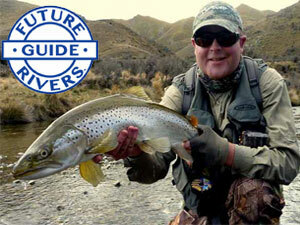 Let us help you discover the fantastic fly fishing that's available in our back yards here in New Zealand. 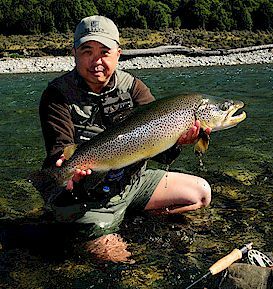 Learn the secrets of just where and how to catch large NZ trout from experienced, local professional New Zealand Fly Fishing Guides. Let us share with you those secret secluded places that only a local guide could know about. And it's easy, all you need to do is browse to the area you want to fish then contact the guides in that area to start planning your trip of a lifetime! And you'll be we'll on the way to catching your first large NZ trout! The new seaon is here - Have you booked your Guide yet? Lots of water in many rivers this year has been a bonus - though only to a degree - as the rain and wind don't make for ideal fishing conditions - but good for the fish! 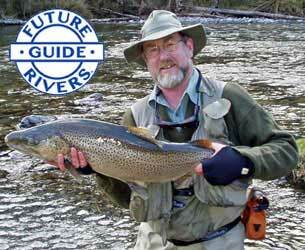 Do you want to catch big New Zealand trout? Do you want stunning scenery and quiet solitude? 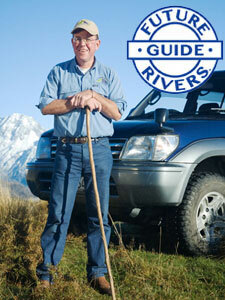 Do you want New Zealand fly fishing guides who know what they're doing? 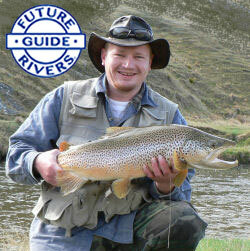 Book your guide today and guarantee yourself the best opportunity to catch some of our big trout! Intimate local knowledge. Our guides have grown up catching NZ trout and have spent countless hours over many years exploring and searching out new rivers and streams throughout their areas. They know exactly where the trout are and how to catch them! Our Guides are 'sight fishing' specialist. Sight fishing is our passion, it's what draws fisherman back year after year from the far corners of the world. We have the knowledge and experience to show you the way. 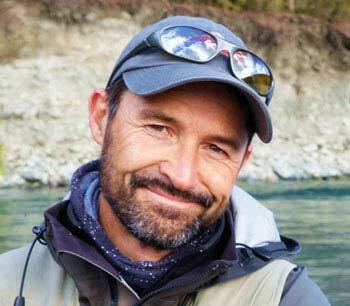 The fishing style is sight fishing, and this is what New Zealand Fly Fishing is all about and what makes it so special!! Spotting fish and watching their every move as you tempt them with your fly. Not forgetting the larger than average size by world standards. Trout in the 6 - 8 lb range are common, with some up to the magical 10 lb mark, which will gladly take well presented dry flies or nymphs. Crystal clear mountain streams and trophy size brown and rainbow trout means that sight fishing is not only very productive, but it's a hugely exciting method of catching these wild fish. This is a new fishing style for many visiting anglers, so you will quickly want to learn 'how to do it' and start catching fish and this is where, with our experience and expertise, we can really help you to be successful. If you enjoy the quiet solitude of remote areas, being able to get away from 'the crowds' and having a stretch of river to ones self then you've come to the right place, book your guide today, and let them share with you their secret places, you'll be fly fishing amongst the scenic grandeur of back country New Zealand. New Zealand trout have a reputation of being large but also somewhat difficult to catch and there are plenty of stories of visiting anglers coming over for their couple of weeks of fishing holiday only to be going home again with not much to show for it. Don't make this mistake, unless you have plenty of time, and are not worried about results, you are going to need the help of an expert local guide to 'show you the way' After traveling all the way to New Zealand you'll want to be sure you go home with lots of photos and stories to share with your friends .......won't you? I know that it's hard with so many guides advertising on the internet; How do you choose the right guide? You've never met them before and really, you'll have no idea if they are any good, know what they are doing or will they provide the quality of fishing you deserve. Give yourself enough time! It's so disappointing when a client, who has booked for a one day fishing trip, has that day rained out or the rivers are too high, and so doesn't really get to sample just how good the fishing can be. Also many fishermen take a little time to adjust to the different New Zealand fishing style. Hence I recommend you book as many days as you can. My returning clients book 6 - 7 days on average so that tells you what they do. And that allows for some bad weather days, so hopefully out of that week of fishing, even if the weather is very bad you'll still get some good days.